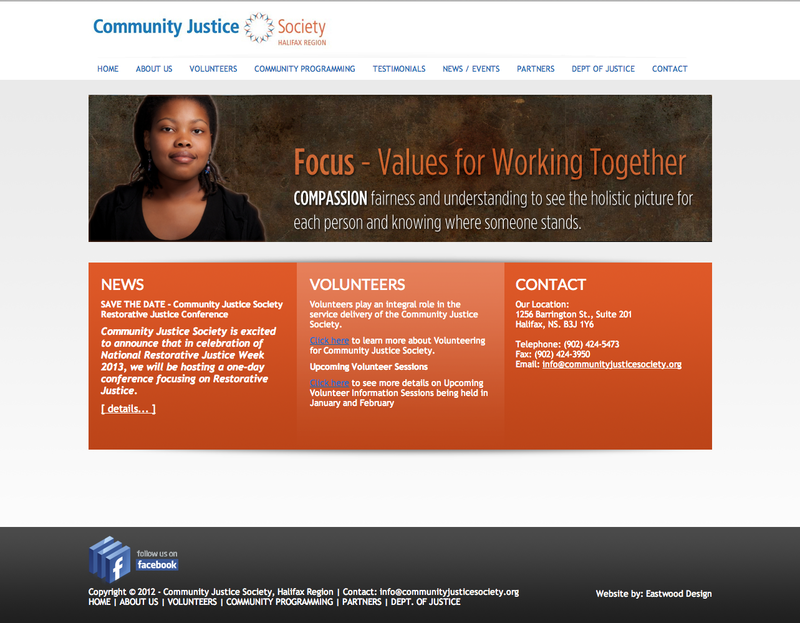 Community Justice Society is committed to offering programs and services to persons at risk or in conflict with the law. The Society is involved in victim and community participation, crime prevention, public education and advocacy and is committed to providing an environment that is non-threatening and free from discrimination. 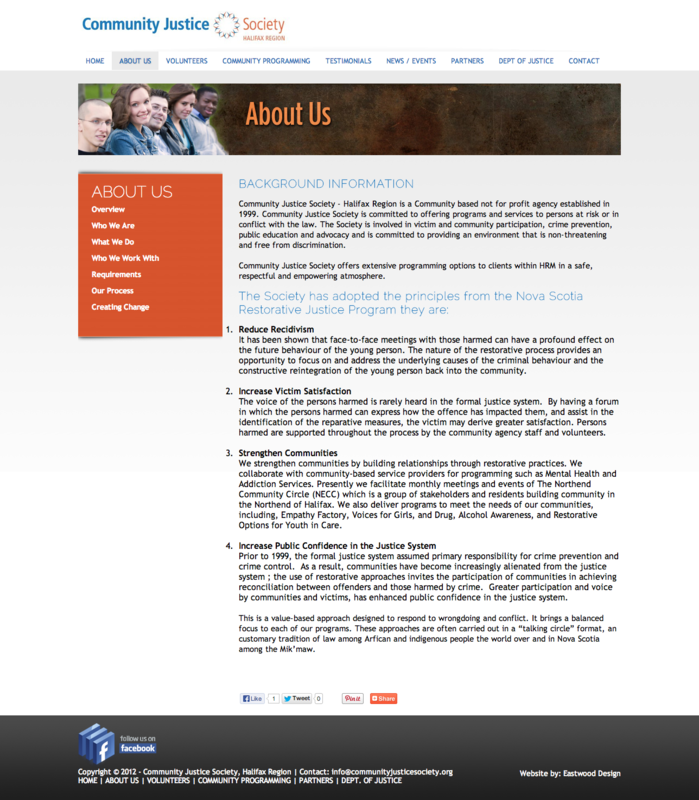 Community Justice Society offers extensive programming options to clients within HRM in a safe, respectful and empowering atmosphere.